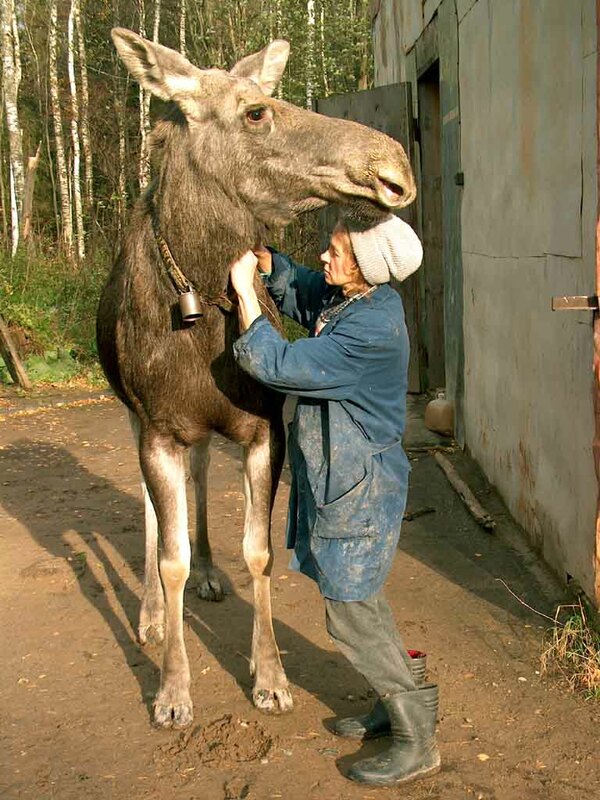 Why is this moose wearing a bell? Why did the rattlesnake cross the road? It didn’t, says new research, and that may be a problem. New DNA analyses of rattlesnakes in New York State finds that even minor roadways deter snakes from crossing the road to breed. Populations are becoming isolated from each other by roadways, which may threaten their future. “We worry for the health of these populations because connectivity is so key to responding to environmental pressures and avoiding inbreeding,” said Rulon Clark of San Diego State University, who led the study published in Conservation Biology. The reduced genetic diversity that results from inbreeding makes populations less resistant to diseases or other disturbances. Groups of up to dozens of rattlesnakes hibernate together in common dens, which serve as a home base. Come spring, they leave to hunt, and males strike out for neighboring dens to mate with females before returning to their home dens for winter. The males’ visits to nearby dens provide the genetic mixing necessary to keep a population from becoming inbred. Clark and colleagues wanted to test whether roads were affecting the males’ mating journeys. They collected blood samples from timber rattlesnakes in 19 different dens in different regions of New York State, including dens separated from each other by roads and others with uninterrupted forest between them. The researchers analyzed selected gene sequences that mutate quickly from generation to generation to determine how related different snakes are to each other and whether certain dens are mixing with others. The team found that dens without roads between them acted as a single, connected population, while populations separated by roads showed signs of significantly reduced mixing. Other studies have found that species including bobcats, coyotes and bighorn sheep also change their behavior to avoid roads, with consequences for gene flow. But rattlesnakes may be particularly susceptible, because they avoid roads, and when they do try to cross, the consequences are often fatal, Clark said. It may be possible to help male rattlesnakes complete their conjugal journeys by building underpasses with surrounding fences that help shepherd the snakes under the roads, the researchers note. Appropriately timed road closures during the migratory season could also help. Kenneth Dodd of the University of Florida in Gainesville agreed that roads are a threat to wildlife, especially snakes, and that methods to help animals cross roads safely should be implemented. At the same time, Dodd thinks other forces are at work in explaining the genetic differences among rattlesnakes in this area. Dodd was part of research that analyzed some of the same dens as the new study but found less dramatic effects. “It’s more complicated,” he said. Small population sizes and localized differences in habitat and topography may also be contributing to the separation of populations, not just roads, he explained. Yes. I know it didn’t say a word about West Virgina, but not only is the timber rattlesnake our only endemic rattler, it is our state reptile. In retrospect, I don’t know if that was the best choice. It is hard to get people to appreciate a place that celebrates a venomous reptile. The timber rattlesnake was selected for the state reptile designation by a group of Hampshire County Middle School students. Their teacher tells me he would have picked the box turtle. However, the rattler isn’t a bad choice. Aside from the obligatory snake-handling church jokes it might generate, the timber rattler is a lot like a true West Virginian. 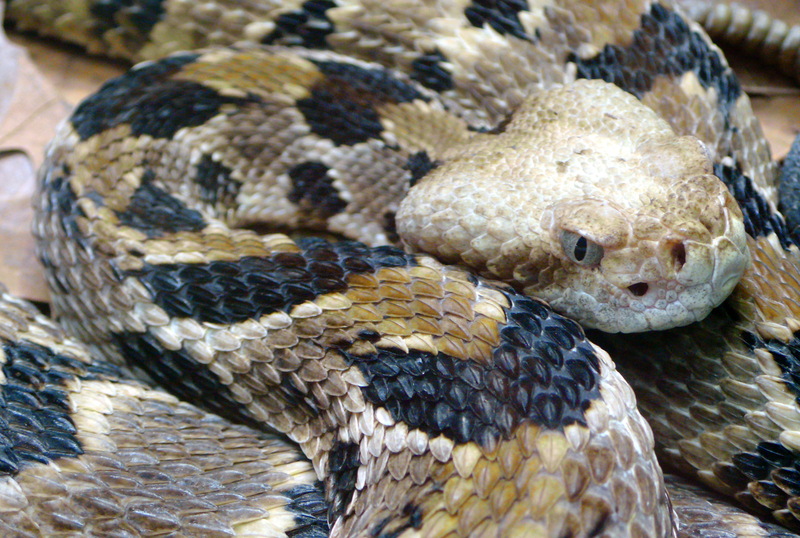 The timber rattler is generally not aggressive, but when you mess with one–be ready for a fight. The rattler lives its life in rugged confines and is an apt mountain survivor. The rattler is often reviled and misunderstood, but always commands respect. Yes, and they are apparently quite inbred because they won’t leave the hollers where they were born. Do we really want to have that animal representing our state? I was hoping they had a good reason to make them the state reptile. Maybe it would make people appreciate them more and not want to shoot them or chop them up with hoes and shovels (a very good way to get bitten). I just hope they make the mountain cur the state dog. One politico wants the beagle (which is from England!) to be the state dog. The mountain cur fits the bill very nicely, and it’s native to the Trans-Allegheny West and the Ohio Valley. All joking aside, this article shows that there are real consequences to reduced genetic diversity in the wild. These timber rattlesnakes are very much like breeds in a closed registry system, and the biologists are very worried that they could suffer some problems from their depauperate gene pools. 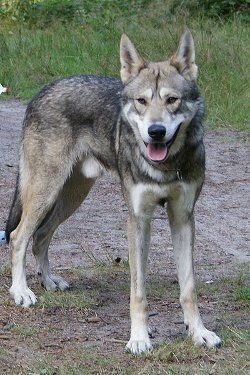 If biologists think about these issues when dealing with the conservation of wild animals, why is it so hard to get dog people thinking about them? I suppose it is an apple to oranges problem. These snakes represent biodiversity, and they have some role in the ecosystem. Dogs are mostly pets. They have no utility beyond the emotional benefits they give their owners. But if we are thinking about this long term, dogs and timber rattlesnakes aren’t that different. They are both organisms with genes. They are animals that are still subject to Darwinian pressures, even if we shield dogs from most of them. Dynamic gene pools allow animals to survive changes in the environment. That’s why sexual reproduction evolved. This type of reproduction creates diversity that allows these animals to be more resistant to these changes. Of course, I’m not predicting some collapse of domestic dogs that result from environmental changes or epidemics. But it is a possibility. And at some point, reduced genetic diversity leads to very low levels of fertility. And then dogs would become like giant pandas or cheetahs. I hope it doesn’t get that bad, but that is where this will all lead if we are not careful. Of course, I hope it never comes to that. But if we can worry about genetic diversity in a poisonous snake, I think we at least owe it to our dogs to at least give the diversity and sustainability of their gene pools some consideration. Now, I would be remiss if I didn’t mention another aspect of West Virginia’s relationship with the timber rattlesnake. I don’t know if you’ve heard of these churches, but we have congregations in West Virginia that pick up snakes. Because these are Pentecostal churches, there is a lot of movement going on (and speaking in tongues). When you add people holding venomous snakes, it gets a little interesting. Jolo is in McDowell County, West Virginia, which is the southernmost county in West Virginia. It’s where Homer Hickam, Denise Giardina, and Jeannette Walls grew up. And before you start stereotyping, Obama beat McCain there. West Virginia is a complex place. It gives some of us complexes. Night of the Lepus– the real deal! 50 pound rabbit– a real one! Curassows are Galliformes from the New World. This particular species is found in Colombia and Venezuela. The Beast of Bodmin Moor! And people who talk like pirates.